The nonprofit organization’s mission statement extends to the community a promise of the intent to serve. While a mission statement can be the inspirational foundation of an organization it must also be the framework for applying for grants, program planning and evaluating organizational achievement. In the recent article, 5 Steps to Your Nonprofit Mission Statement, we are introduced the idea that every funder will expect to see a mission statement in the application. Most funders expect to see the flow from the intent of the organization (mission) to the program goals (desired outcomes) to evaluation of the goals at the end of the program (actual outcomes). 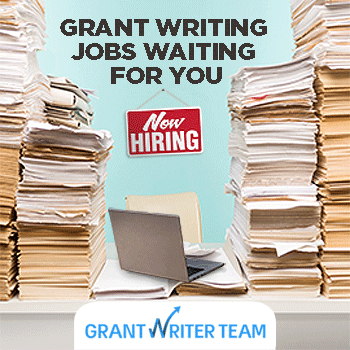 A grant writer can assist your organization apply the concepts of a mission statement to the practice of program planning and evaluation. Making this connection will provide an organization with the ability to answer the “so what” question when reporting back to a funder. 1. What is the fundamental purpose of organization? 2. What are the core beliefs and assumptions? 3. What work does the organization do to accomplish its purpose? 4. What is the organization vision? 5. How will vision attainment be measured? 6. What are the key goals? 7. How will results be measured? Working through these questions an organization will benefit by understanding program outcomes, guiding decision-making for next steps and close the loop with funders regarding the implications and significance of the program. About the Author: Libby HIkind is the CEO and founder of GrantWatch.com, GrantWriterTeam.com, GrantNews.press, and other grant information websites.